We need your help to get the attention of Ricky Gervais, stand-up comedian, actor, writer, producer and director, to have him appear in a Public Service Announcement (PSA) on wolves! Friends of the Wisconsin Wolf & Wildlife has teamed up with The Second City in Chicago to produce a PSA on the plight of Great Lakes Wolves. Ricky Gervais has long been an outspoken voice for animal rights and we believe he can help amplify what will happen to wolves if they lose federal protection in Wisconsin and beyond. Wisconsin wolves desperately need you @RickyGervais! Our state allows trophy hunters to use packs of dogs to attack wildlife which results in vicious dog vs. wolf fighting, and we are forced to pay for their bloodsport. Please visit a page we made for you: bit.ly/2KGdHkN CLICK HERE TO TWEET! For any questions on how to participate in this Action Alert to Ricky Gervais, please do not hesitate to contact us! What happens if wolves lose federal protections? 2018 has been the worst year for wolves and other endangered species that we have seen in decades. 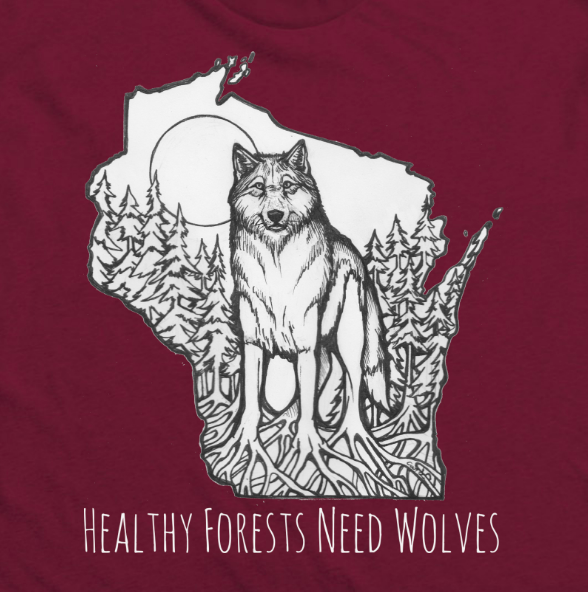 Ultimately, if Wisconsin wolves lose federal Endangered Species Act protections, two-thirds of the population will die at the hands of trophy hunters. The last time federal protections were prematurely stripped from Great Lakes wolves, state agencies opened up brutal hunting and trapping seasons and more than 1,500 wolves were killed in just three years. Wisconsin is the only state to allow wolf hounding and also permit hounders to run as many as six dogs on wolves and other wildlife for training 24/7, year-round.Hounders are permitted to release dogs fitted with radio collars, giving them free-reign into the forest to run down packs of wolves. When hunting hounds meet up with wolves, it is inevitable that there will be death and maiming on both sides. Cable snares and wire nooses used by wolf trappers are indiscriminate and gruesome. Encounters result in death and dismemberment. Wolves may struggle for days before trapper returns to kill them. Steel jaw traps cause excruciating pain for trapped wolves. Wisconsin is the only state to permit wolf hounding. Quotas aim to reduce the Wisconsin wolf population by as much as two-thirds. The long hunting season (October-February) also extends into wolf breeding season, making it difficult to maintain stable populations. These practices could lead to the devastation of the Wisconsin wolf population altogether. Please Tweet, Facebook, or email Ricky Gervais today! Thank you for your commitment to wildlife and wild places.